Crowdfunding is on the rise. In fact, Kickstarter just reported that 3.3 million people from every corner of the globe pledged nearly a half a billion dollars to help make 22,252 crowdfund projects successful in 2014. Just as the name suggests, crowdfunding is basically using a crowd to help fund some type of project. It could be a new product, a charitable cause, or even funds raised for yourself or someone you know. Rather than pitching your idea to one potential venture capitalist at a time, crowdfunding websites are a nice alternative because they allow inventors, startups and established businesses to connect with millions of consumers around the world that are passionate about a range of topics. The consumers have become investors. And because there’s power in the masses, crowdfund websites have helped people and businesses raise thousands (and in some cases millions) of dollars to fund their projects. In many cases, crowdfunders use these platforms so they can raise money to actually develop or manufacture the idea or product that they’ve come up with. And as payback for donating to the project, crowdfunders typically give their backers some type of “reward,” which is often the actual product or service they’re funding. So that’s crowdfunding in general. But there are quite a few types of crowdfund websites out there, so let’s dive into a few, and then I’ll talk about a few projects I like. Kickstarter is the 500 lb. gorilla in the crowdfunding space right now. Kickstarter.com receives over 5 million estimated visitors each month, and people turn to Kickstarter to raise funds for a wide range of projects, from film, to music, to food, design, technology and fashion. My favorite part of Kickstarter is the diversity of projects from around the world. You can go there to find something unique and innovative in so many different areas. And not only are the products unique, Kickstarters are finding new and innovative ways to promote their campaigns and their passions. There are a few distinctions with Kickstarter compared to other crowdfund alternatives. One is its size. It’s the largest, most well-known crowdfund website. Another is that Kickstarter requires you to reach your goal to receive funds, whereas with most others, whatever money you raise, you keep. It may seem like you’re getting cheated with Kickstarter by not getting funds unless you reach your goal, but the potential exposure is tough to beat. Also, there’s value in the strategy of setting goals. The last thing you want is to fall short of your goal and have to use money out of your pocket to get rewards to your backers. I have seen many Kickstarters launch projects and not reach their goal, and come back for a second (or even third) time. It’s a learning experience, and Kickstarters will take the advice the community has given, make improvements, modify the goal, and relaunch with a winning strategy. Here’s a handy Kickstarter reference guide we put together with some tips for a successful campaign. Another very well-known crowdfund community is Indiegogo. This alternative to Kickstarter actually has more focus areas than Kickstarter, everything from animals, art, education, design, video, technology, photography, and sports. While not as big as Kickstarter in terms of visitors, it has been known to generate huge funds, including several projects raising over a million dollars. What I like about Indiegogo is that it gives crowdfunders the option to choose a flexible or fixed goal. That itself can be a tough decision. Flexible goals can be tempting, but just make sure you’re collecting enough from each backer to produce the goods and, if there’s a deliverable involved, enough to ship it to the backer. RocketHub isn’t as big as Kickstarter or Indiegogo, but it’s definitely a vibrant crowdfund platform with thousands of project creators and backers. With RocketHub, projects tend to fall in the category of art, business, science or social, although it offers other categories. RocketHub backers come from all over the world. One unique thing about RH is that it encourages users to help build exposure for projects by voting on them. By voting on projects, users earn badges. The more badges, the more prominent their status, and more likely other crowdfunders will come to them for advice. Another cool thing about RocketHub is its partnership with A&E. Together, they launched PROJECT STARTUP to help build exposure for crowdfunders and their campaigns, which means those who use RocketHub have the opportunity to be featured on A&E and receive greater funds. RocketHub offers users a Success School to improve their chances of success, and provides resources and tools to increase your chances of being picked up by A&E. The people who started Fundable have a business mindset and were founders of startup businesses themselves. What makes Fundable unique is that, not only does it allow for regular donations in exchange for rewards, crowdfunders can also raise funds in exchange for equity in their businesses. I like how Fundable is focused on crowdfunding for businesses. I also like that they give fundraisers the opportunity to offer stock in their businesses. While doing so means you’re giving up some equity, this stock option can attract larger, more serious and accredited investors, and allow startups to raise much more capital than with reward campaigns. Another alternative to Kickstarter or any of the other three platforms mentioned above is accepting pre-orders on your own website. There are platforms like Celery that allow businesses to easily set up their own websites to accept pre-orders. With Celery, you can take credit card numbers now for pre-orders, but not charge your backers’ cards until their orders ship. Once you receive your inventory, you can easily switch from pre-orders to in-stock merchandise. With this approach, crowdfunders need to weigh the benefits and drawbacks. By launching on Kickstarter, Indiegogo or other established platforms, crowdfunders benefit from the heavy traffic these platforms generate. But, as we’ve discussed, they also come with fairly hefty fees, so crowdfunders are able keep more of the funds they raise with tools like Celery, and also may benefit from a branding perspective, as traffic will be driven to their own websites. There have been thousands of really cool, successful crowdfund projects that have launched on these and other platforms. I’ve picked out just a few of them that I personally like for various reasons…. I had to include the Coolest Cooler on my list because, back in late August, it set a new record for the most-funded campaign on Kickstarter at over $13.2 million! Yeah, I guess people like coolers. Coolest obviously is no ordinary cooler, though. It touts itself as the “21st Century Cooler” and comes equipped with a rechargeable blender, USB charger, bluetooth speaker, LED light, divided cooler storage, and more. One of the reasons I like Coolest is that the inventor, Ryan Grepper, didn’t give up after failing to reach his goal the first time that he launched a Kickstarter project in November of 2013. After making some improvements to Coolest, he decided to relaunch in July of 2014 with a $50,000 goal, and one of the things he learned is that the timing of the campaign really does make a difference. A whopping 62,642 people backed their project on Kickstarter. But with all that success comes its challenges, as Grepper just announced to backers that fulfillment and shipping of their Kickstarter orders will be delayed at least a few months. Flic is actually still an active crowdfund project on Indiegogo. Flic is described as a “wireless shortcut button that allows you to perform any action with a single click.” How it works is that the user can program the wireless button to perform a range of actions that correspond with mobile apps. For example, you can program the button to make a phone call, take a picture, turn on a light, control music, share your GPS location with others, and more. There are a few things I really like about Flic. One is the product itself, which is incredibly simple, flexible and useful. The second is the presentation from the team at Flic. One consistent trend with successful crowdfund projects is that they are extremely visual, and the Flic team did an excellent job of visually conveying the range of applications with Flic. Lastly, they are great at communicating with their funders. They shared the story behind Flic, introduced their team, and outlined a detailed timeline, from launch of their Indiegogo campaign to the actual order fulfillment and shipping. They also added updates throughout the campaign, including the announcement of new Flic features and accessories. TITIN Tech is the world’s only weighted compression gear, and the company recently raised $1 million on Fundable. The Founder and CEO of TITIN, Patrick Whaley, shares the story behind TITIN on their Fundable profile page, which started way back when he was in elementary school. Patrick created the weighted clothing in part as a way to help him recover after a gunshot wound he sustained during an armed robbery. What I like about TITIN, aside from the product itself, is the decision to launch on Fundable instead of a different crowdfund platform. Patrick had a lofty goal of $1 million, which made equity funding a more viable option. Raising $1 million isn’t easy, nor is getting the attention of larger equity investors. What made Patrick’s decision to launch on Fundable a good one is that not only is his product able to appeal to a large market, he has also gotten the attention of several prominent athletes that are already using it, and he has a patent on the product. Together, those 3 things made it ripe for an equity campaign on Fundable as opposed to a rewards campaign on another crowdfunding alternative. For inventors, startups or established businesses, crowdfunding can be a great way to help fund a range of projects. And while it all sounds great, make no mistake, it isn’t easy. One of the most important things a crowdfunder can do is evaluate platforms….Kickstarter vs. Indiegogo vs. other alternatives like RocketHub, Fundable and others. It’s also crucial to carefully plan everything ahead of time, from the timing of project launch, to the content you’re going to present to backers, to how you plan to fulfill and ship your rewards and pre-orders once the project’s complete. Another key to being successful with crowdfunding is building as much support as you can before you actually launch. And to be successful over the long-term, make sure to account for potential imitators and protect your intellectual property as much as you can. Best of luck with your campaign! In this article, we overview 4 popular crowdfunding websites, including Kickstarter and a few alternatives, and share some tips for launching a successful project. 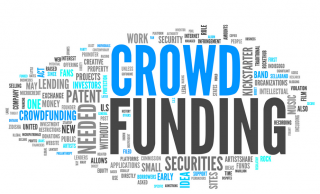 Is it possible to run several crowdfunding campaigns? For example to combine CELERY with Kickstarter? Thank you for your question! Yes, it is possible to run multiple crowdfund campaigns at one time, although, in general, it is not something I would recommend, as you’re then splitting time and resources across multiple campaigns. Being from a fulfillment company, I can also say that it would make the order fulfillment quite a bit more complex. Typically what I recommend is to launch a crowdfund campaign on Kickstarter, Indiegogo or another crowdfund website, devote your time and resources to making that one campaign as successful as possible, and then look at using a platform like Celery. There is generally an interim period between when your crowdfund campaign ends and when you start shipping your products to backers. During that time, you can use a tool like Celery to continue to accept pre-orders while your product is being manufactured. When it comes to the order fulfillment, we can process orders in whichever way makes the most sense for our crowdfund clients. For example, sometimes crowdfunders will send their inventory in batches, so we may prioritize the orders, perhaps starting with the international orders first, as the transit time is longer on those. We may also start with the Kickstarter or Indiegogo orders, and then move on to pre-sales from Celery, which our clients can submit to us automatically using our integration with Celery. I have had a short story written for the purpose of raising awareness for people afflicted with Neurofibromatosis. I have this disease and survived cancer twice. With this said, we are attempting to have the short story(lead in) made into both an e-book and audio version. All funds will go to The Children’s Tumor Foundation. What do you recommend given the fees involved in these sites? First off, it is really great to hear about the story that you’ve written on Neurofibromatosis, and incredible to hear your story on beating cancer twice. There is a crowdfunding website that I’d recommend checking out which wasn’t mentioned here in my post, and that is GoFundMe. GoFundMe is focused on fundraising for charities, medical needs, as well as a range of other worthwhile causes. Here is the link to their website…. Best of luck with your e-book and crowdfunding effort. I hope it is a huge success. Practical problem with Kickstarter is opening up a bank account in the UK. I only have experience with the UK but I can imagine it will be an issue in the other countries as well. Setting up a limited company was relatively easy but when we told the bank that the ltd had two partners one of which was based outside of the UK then that posed all kinds of new problems like having a minimum deposit of £10.000,- at all times in the account. Is there a way to find out 1)the demographics of people visiting these crowdfunding sites and/or 2)how much money is raised for different kinds of projects, for example films vs. inventions? The demographics are a bit more difficult to find. You may find similar stats on other crowdfunding websites. I am researching and developing a predictive model based on cellular automata and Voronoi diagram that I hope can predict random events that are generally free from a coterie of human influence. Think from lotteries and stock movement. I have reached a stage where I need some serious computing muscle (hardware, software and human) and time to further develop the model and test in the real world. The idea is so exotic that I am thought only crowdfunding can help me raise the money to buy the hardware and retain the services of an expert programmer. The only thing I can think of offering as a reward is the idea itself in the form of a book but then I am afraid that would mean giving away the idea and competing with my readers to bring the idea to fruition. I thought about patenting the idea, but then again it’s just a theory and somewhere I read you cannot patent a theory or a discovery – I cannot claim it an invention because I have not used the idea to predict anything …. yet. The idea has spawned a game that I have fully designed and partially developed… and I could potentially offer this as a reward without fully giving away my idea. So, first of all, am I allowed to crowdfund in more than once category, in my case, writing and games? Is there a better ways to crowdfund “research and development” BEFORE an idea is proven? You bring up some very good points, and also ask some great questions. Regarding the crowdfunding category, you typically have to choose one primary category. On most crowdfund websites, you also have the ability to choose a subcategory. For instance, on Kickstarter, you could choose Games as your primary category, and then have Video Games as your subcategory. There are actually tools out there, such as Krowdster.co, that will analyze various categories that may be applicable to your project, and help you choose the one that will most likely lead to a successful campaign (BTW, we are not affiliated with Krowdster, nor have I used that tool….I have just heard of it). Regarding your question on crowdfunding R&D projects, yes, there are strategies that you can take to be more successful with those types of projects, starting with the crowdfunding platform you choose. For example, I don’t believe Kickstarter actually allows you to fund scientific projects. You may find a workaround for this, such as claiming it is “educational” instead of scientific, but you may just be better off choosing a different platform, especially with their “all or nothing” approach to reaching your funding goal. There have been several cases of organizations and universities funding research projects, so you may find some case studies out there with some helpful tips. Here’s one example of a group that reached their goal on RocketHub to fund research for autism spectrum biomarkers…. With this type of crowdfund project, you’re right, the rewards can be a bit tricky. A key to getting support is successful marketing, and explaining to the community why they should care about your project and your cause. It’s always a good idea to have small reward options, such as allowing for a small $5 or $10 donation and, in return, a simple reward such as a public announcement or thank you. If people care enough about the project, they won’t necessarily want a whole lot in return. Thinking a bit more creatively, you could come up with a reward or two that utilizes your invention once it’s complete. I don’t know too much about your idea, but you mentioned it helps with predicting random events, such as the lottery. Once developed, assuming it works the way you intend it to, could it be used to benefit your backers in some way? If so, that could be a reward for larger donations. I hope this helps. It sounds like you have a very cool, creative, innovative idea, and I hope it does indeed come to fruition! I have developed a product I would like to take to the market. I would also like to raise money through crowdfunding, but I don’t know how to. We specialize in order fulfillment, and we do work with many Kickstarters and crowdfunders. When it comes to how to be successful with a crowdfund campaign, we have put together this guide, 10 Tips for a Successful Kickstarter Project. Aside from that, I’d recommend checking out http://www.artofthekickstart.com, which has several interviews and podcasts from former crowdfunders, and a ton of great info on how to run a successful campaign. And if you ever need help with warehousing and order fulfillment, we’d love to chat further! Why is there no protection for the backers. I funded a campaign on Kickstarter, $1,000 Australian, the campaign was fully funded. The company involved only gave updates after being hounded by backers and that was only to say people had left or were on holidays. We finally got an update in December to say the company had folded and the original guy was planning on selling personal assets to try to refund the backers. I think Kickstarter is a good idea and I will continue to fund some projects, but anything over $500 I will not fund until there is some form of protection put in for the funders. Thanks for the comment. You’re absolutely right, Kickstarter offers very little protection for backers. Their claim is that they’re more of a platform than a business, and these sorts of transactions are solely between backers and project creators. They are supposed to remind Kickstarter creators to keep their backers up-to-date on production and order fulfillment, but they largely rely on the community to apply pressure. They also claim to support law enforcement if they get involved, but initiating that is up to the community. I have also heard arguments from Kickstarter that pledges are generally low, so it’s not worth it to get law enforcement involved if Kickstarter rewards and orders are not being fulfilled. However, while the average pledge is under $80, in your case, you made a substantial contribution, so I certainly understand the frustration. You bring up a very good point that backers need to be wary when funding projects, and do what they can to ensure the Kickstarter and Indiegogo creators have a solid plan in place for production and order fulfillment. Even with due diligence, though, unfortunately there will still be cases that this sort of thing happens. Hi Steve. First of all, thank you for sharing your wealth of knowledge. My questions: What crowdsourcing site is best to promote/crowdsource a gaming/learning system for high school and middle school students? Also what rewards seem to get the best traction? Many thanks Steve! Hi Madeline, thank you for your comment. That’s a great question! The stats are about a year old, although the general demographic information should be similar today. As you can see, the user demographic does differ between Kickstarter and Indiegogo, the two largest crowdfund platforms. For example, the percentage of men on Kickstarter is greater than on Indiegogo. Kickstarter also has a younger demographic that makes a little more money. With Indiegogo, the users tend to skew a little older, and they’re more mobile. With Indiegogo, as mentioned in my post here, you’re able to collect any funds you raise, rather than an “all or nothing” approach with Kickstarter. So my advice would be to analyze this demographic information, along with any more recent info you can find, and compare that to your target audience. The other thing to of course consider is that the audience overall is much larger on Kickstarter. For example, if your target audience is primarily women, it may look like Indiegogo is a better platform. However, while the percentage of women may be 12% higher on Indiegogo, given the size of the audience on Kickstarter, the actual number of women on there may still be higher than on Indiegogo. I hope this helps. I know there’s a lot to consider, and with any promotion or marketing, the more targeted and relevant you are, the more successful you’ll be. And also keep in mind that you can try your campaign on multiple platforms. Many of the crowdfund order fulfillment clients I work with do just that. I’m working on startup that provides a peer-to-peer service. Although funding will be needed at some point, crowd funding doesn’t really work for this concept at this stage. We, however, need people to register their interest to become hosts/providers. Being able to put the concept on a website like Kickstarter where people instead of providing funds would just register their details. Over the development period, we would update them of progress just like product startups would do. Hopefully though this we could build a bigger provider database which the concept hinges on. Because we are not looking for funds, we are not sure if we can still put the campaign on Kicktater or similar. Can you suggest other sites that might suit our needs better? Thank you for your comment. That is a really great question. I agree that Kickstarter is probably not the best option for you. In fact, I don’t believe Kickstarter allows for projects that are primarily in search of people and/or resources, as opposed to funds. I hope this helps. You raise a good point about finding the right website or community to promote your particular project, and in many cases Kickstarter, Indiegogo or other crowdfund websites are not the best option. Hopefully you have better luck with crowdsourcing.